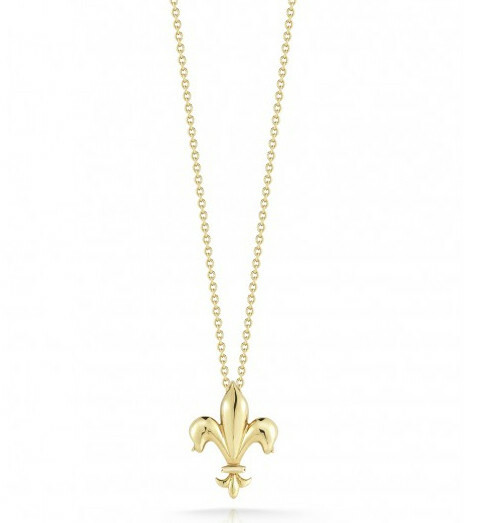 Roberto Coin's fleur de lis necklace from the Tiny Treasures collection will let your nobility shine! 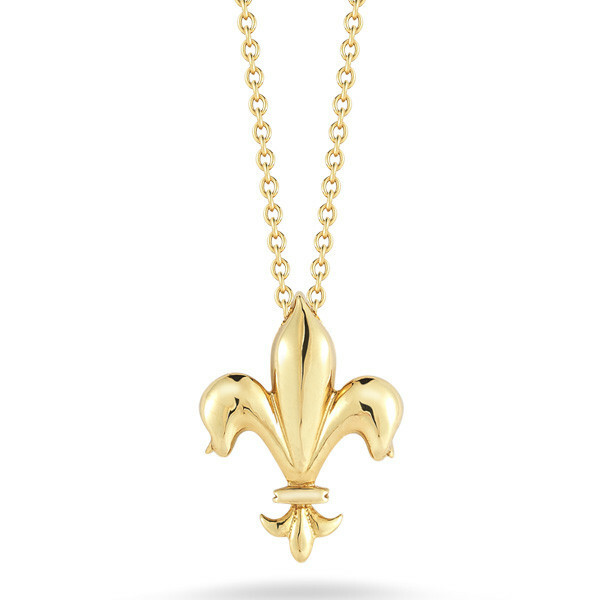 Rich 18kt yellow gold is crafted into the emblem, which hangs gallantly from an adjustable chain that ranges from 16" to 18". 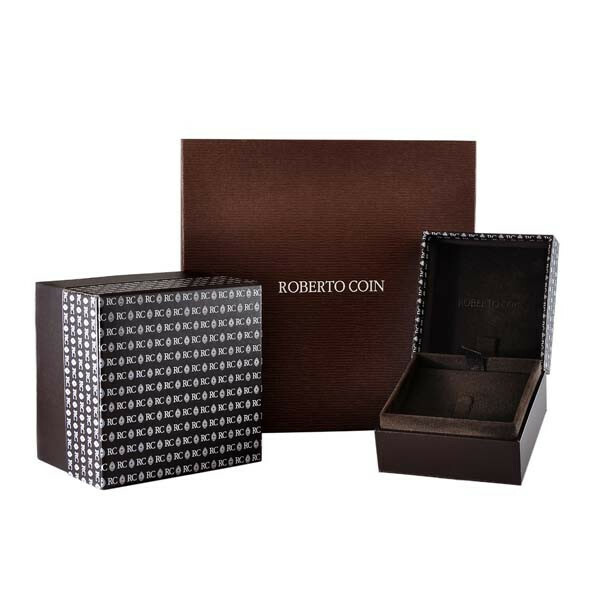 You'll have plenty of fashion options with this fantastic Roberto Coin pendant necklace.